A year ago I was introduced to a device that I called the biggest advancement in flight simulation hardware since the introduction of the hat switch. 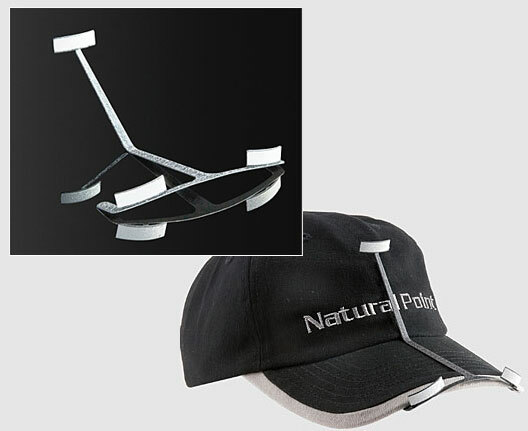 NaturalPoint’s TrackIR™ revolutionized the ability to enter the virtual cockpit, giving the flier the freedom to watch that bogey without the clumsiness of hat switches or the artificial feel that a padlock view gives. Well, the company didn’t rest on their laurels. While joystick design and manufacture has been relatively stagnant over the last few years (name any really new designs to come out in the last three years) NaturalPoint has been busy trying to improve the TrackIR, making it more responsive and more accurate for those players that want to get the most out of their flight simulation experience. The third version of the TrackIR arrived a week and a half ago and I have had the chance to play with it in games like WW2 Online, Lock On: Modern Air Combat, IL-2 Sturmovik – Forgotten Battles: Aces Expansion Pack and Flight Simulator 2004. These are similar games as the ones I used last year for the TrackIR2™ and it gives me a good ability to actually compare the two devices. Of course two questions arise. Is the TrackIR3™ (in this case the TrackIR 3-Pro version I received) worth buying for the non TrackIR owner? 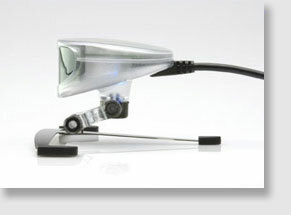 The answer is probably pretty obvious based upon the previous review of it’s older brother, the TrackIR2. The real question should be; Is this device worth the cost of an upgrade, i.e., should TrackIR1 or 2 owners consider plunking out the price to get a TrackIR3? Well, read on and hopefully I can answer that question. The TrackIR system was developed actually from a device that was used to help the disabled gain access to computers. In 1997 NaturalPoint (then called Eye Control Technologies) started to develop a hands free mouse system for people unable to use a mouse. By placing a small infrared camera and having it track a dot placed somewhere on a person’s head the device could easily emulate any mouse movement. It didn’t take long for someone to figure out that if you placed this device in front of you, then fired up a simulation that had a mouse look available in the cockpit, you could easily pan a cockpit without the clutter of trying to move a mouse around. NaturalPoint noticed this, and in a case of someone quickly realizing the potential of their device, and began to develop a gamer oriented version of the Smart Nav system. 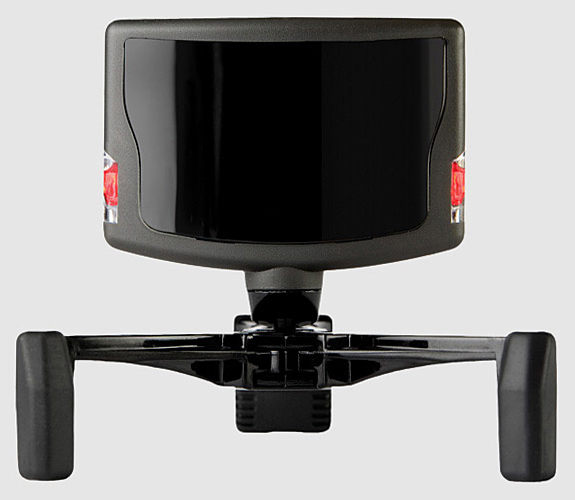 Like a lot of new devices, the TrackIR has had some slow acceptance among simmers. One of the initial problems with using the device was the relative lack of mouse view in many of the early simulations. In 2000 the number of flight sims that had mouse pan were still few and far between. Most virtual cockpits still required people to use a hat switch to change views. The development of mouse driven cockpits wasn’t far behind though and once this became standard equipment the idea behind the TrackIR came into its own. As I said before, the TrackIR is essentially a mouse emulator. Instead of using a mouse or trackball to move around in a virtual cockpit the TrackIR3 uses infrared data to follow your head movement via a reflective dot placed somewhere on your head. 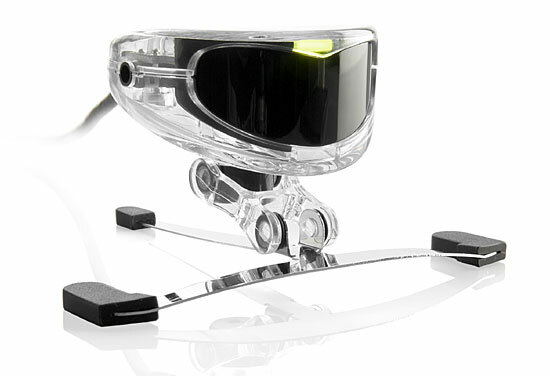 The TrackIR3 follows a 32 degree arc in front (or behind if you want to configure it that way) of you. The device follows the movement of the dot and translates it into movements of the mouse on your computer. Placed in the cockpit you get the idea. Since the device translates small movements into larger head movements in the cockpit it becomes quite easy to pan an entire cockpit with just a few small head movements. With practice most people should be able to follow an object while in the virtual cockpit with ease. It does take some practice and for those of us that have a hard time keeping their heads still, it can be hard at first. Still, practice it and after a few hours you will get the hang of it. Given the relative lack of innovation in flight simulation hardware lately, the Track IR system has been a quantum leap forward. I stated in an earlier review (of the TrackIR2) that this is probably the biggest leap forward in flight simulation hardware since the invention of the hat switch. My TrackIR2 has really been a boon for most of the flight sims that I fly. The TrackIR3 claims to be a major improvement, well lets see.